What would it be worth to know everything about growing your gym , fitness center or health club? 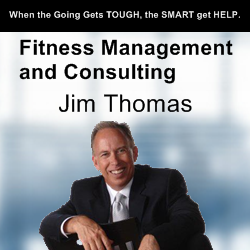 Jim Thomas On Demand was created for fitness business owners and future owners who want to succeed. We have the answers to making your business a success. Since 1989 we have been providing consulting services exclusively to gyms, fitness centers, health club and studios … all the way from 800 square feet to 200,000 square feet. Our services include new gym start ups, gym turnarounds and operational analysis, sales & marketing, management training and everything in between. The Jim Thomas On Demand 24/7 Online Training Platform takes everything we do and makes it available to club owners and potential club owners on any Smartphone, tablet or computer. Our site will help you shorten the learning curve and improve bottom-line profitability. Sign Up Today – First 30 Days FREE then only $39 per month. Ideal for owners, managers, salespeople, training or anyone who wants to succeed in the fitness business. Sign up today! Hello. My name is Jim Thomas. I have been teaching many of you how to shorten the learning curve and improve bottom-line profitability in your gyms and fitness centers for over 25 years. To make money in owning a gym or fitness center, the most important knowledge you need is about sales and marketing! It’s about how to get new prospects and a process to enroll them as new members. Being a sales and marketing expert are by far more important than having every piece of equipment! Now, you certainly should have a state of the art fitness center as it’s extremely important to give your members the best. But you must realize that it doesn’t matter how good you are if you don’t have the members to come to your facility! 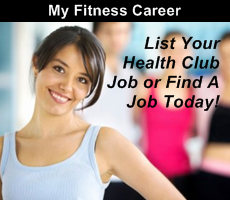 As a fitness center owner you are currently facing the most competitive times you have ever seen! It doesn’t matter if you are brand new or if you have been at the same location for twenty years. Getting new members these days requires a brand new set of sales and marketing skills you’ll never get from the “usual” sources. Why don’t traditional methods work anymore? Well, here’s the reason. Think about it. They teach “image” marketing. They want you to tell your prospective members how great your facility is, or how you have got the best equipment, or how you have the best price, or how long you’ve been there and on and on. Do you know something? Believe it or not, your prospective members couldn’t care less about you or your “image.” They care about their needs and nothing more! Your prospect wants solutions and answers to their problems! So now, I’m offering gyms and fitness centers a chance to use the exact same sales and marketing system that have made 1,000’s of owners tremendous amounts of money. Listen, watch and read my training programs and implement word for word! If you follow the program exactly how it’s presented, I don’t see how you can miss! Also, I am committed to making sure you’re successful with jimthomasondemand.com. After all, our training has worked so well for other gyms and fitness centers; it would be a mistake not to do whatever I can to make it work for you. I want you to be happy and continue with the program month after month. For that reason, as a jimthomasondemand.com member, we will offer unlimited support whenever you need it. 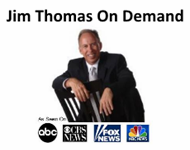 Should you ever have any questions about anything you’re doing, I’m just an email away at jthomas@jimthomasondemand.com. 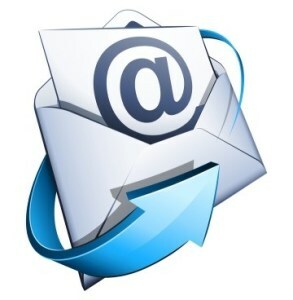 So please, for the success of your business, sign up now! How to make the second sale. The 2 sales models used by clubs. How successful people do things in the fitness business. Why gym salespeople are unhappy. How to use technology to dominate your marketplace. Learn the key performance indicators. How to overcome the fear of rejection. The power of follow up. Price vs. value in the gym sale. The 3 reasons prospects don’t buy. How to unlock the secrets of gym success. What is the lifetime value of your club member? Secrets to getting a higher membership fee. How to be great at membership sales. The 3 biggest challenges in your gym. 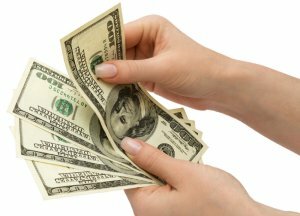 How to turn your cost centers into profit centers. Is your gym the best kept secret in town. Operations, Customer service, member service, sales, marketing. Personal training, forms, manuals and much more. Sign up today! for only $39 per month, quit when you want.